It’s easy to keep your teeth and gums in good health. A simple routine of daily teeth cleaning, good eating habits and regular dental visits can help prevent tooth decay (cavities) and gum disease. Do you sip soft drinks or other sugary drinks all day at your desk? Do you use breath mints or eat candy often? Instead of eating meals, do you snack all day? Do you often grab a sports or energy drink when you are tired? When you visit the dentist, you get more than clean, shiny teeth. Regular dental visits are a way to prevent dental disease and to check for signs of other diseases. If your mouth or neck do show any signs of disease, your dentist can help you get early treatment. Here’s how. Cancer is a deadly disease. 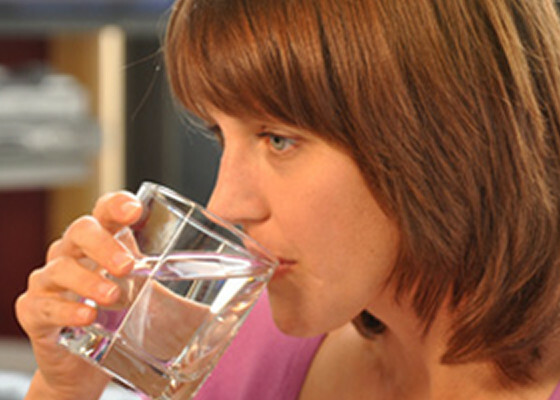 Each year in the United States, about 40,000 new cases of mouth and throat cancer are diagnosed. Almost half of those patients will die within five years. 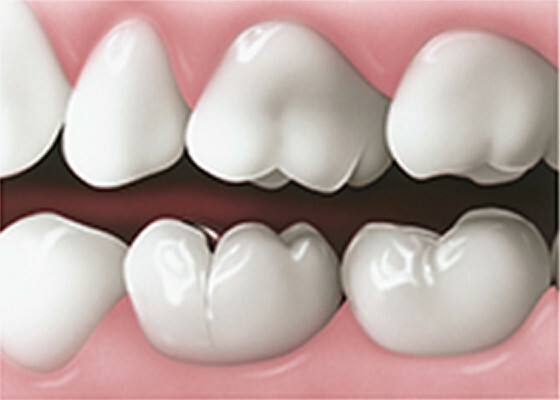 you’re missing one or more teeth, you may be all too aware of their importance to your looks and dental health. Your teeth are designed to work together to help you chew, speak, and smile. When teeth are missing, it is difficult to do these things. 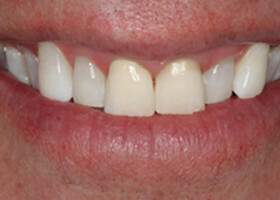 Even the loss of a back tooth may cause your mouth to shift and your face to look older. Fortunately, missing teeth can be replaced. If you have lost some or all of your natural teeth, dentures can replace your missing teeth and improve your quality of life. With a little practice, dentures can make eating and speaking easier. You can smile freely without feeling embarrassed. Dentures can be made to look like your natural teeth. There may be only a small change in how you look. 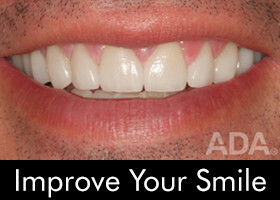 Full dentures may even give you a better smile. 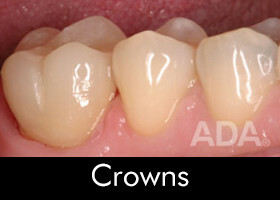 Dentures also support the cheeks and lips so the face muscles do not sag and make you look older. 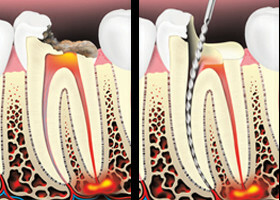 Periodontal (gum) disease is an infection. It affects the tissues and bone that support the teeth. Healthy gum tissue fits like a cuff around each tooth. 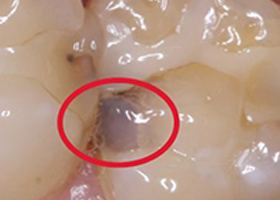 When someone has periodontal disease, the gum tissue pulls away from the tooth. As the disease gets worse, the tissue and bone that support the tooth are damaged. Over time, teeth may fall out or need to be removed. 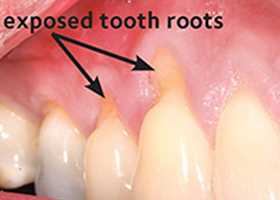 Treating periodontal disease in the early stages can help prevent tooth loss. 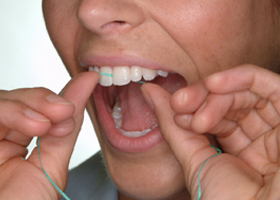 When your gums recede or pull away from your teeth, it is called gum recession. Gum recession can happen to people of all ages. Sometimes it happens even if a person takes good care of his or her teeth. 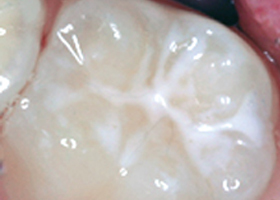 Gum recession can cause problems for your dental health. If you have gum recession, your dentist can help you understand the causes and recommend a treatment. 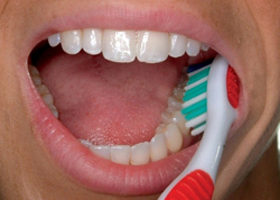 Taking good care of your teeth and gums isn’t just about preventing cavities or bad breath. The mouth is a window into the health of the body. It can show if you are not eating foods that are best for you or if you may be at risk for a disease. 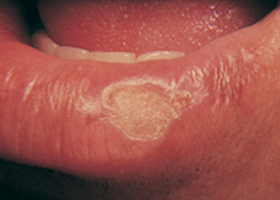 Diseases that affect the entire body (such as diabetes) may be noticed because of mouth sores or other oral problems. 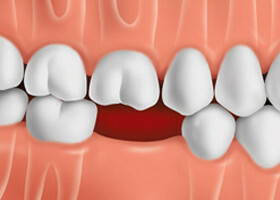 People with crowded or crooked teeth are said to have a “bad bite.” Even when the teeth look straight, the upper and lower teeth may not fit together properly. 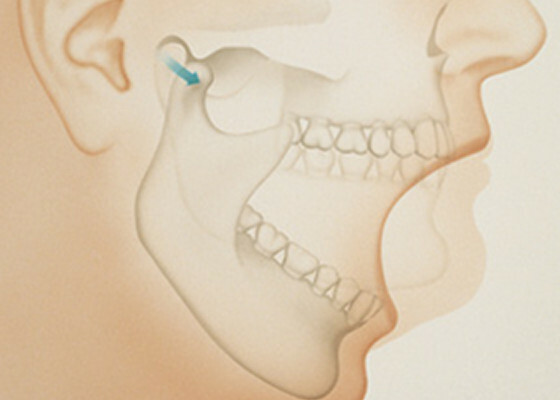 This could happen when the lower jaw and teeth are either too far forward or too far back to fit the upper teeth. Crooked teeth and bite problems are often solved with orthodontic treatment. 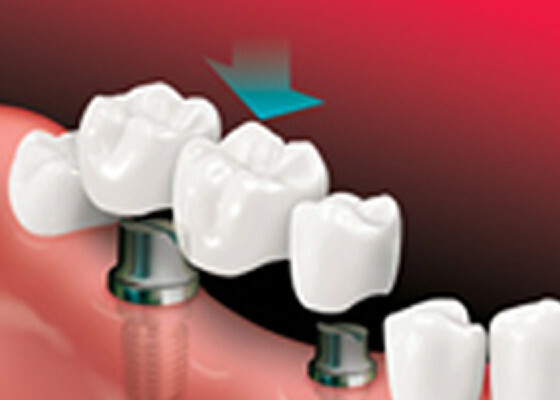 Braces are the most common way to correct crooked teeth and major bite problems. 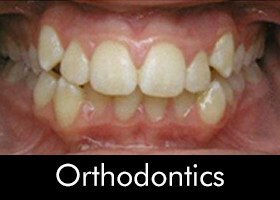 For less severe cases, there are other types of orthodontic treatment. 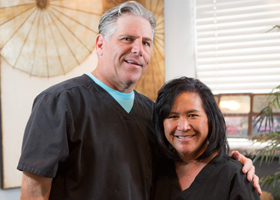 The good news is that orthodontic treatment can lead to a healthy, beautiful smile at all ages, especially with early treatment. And although orthodontic treatment takes time and patience, the end result is worth it. 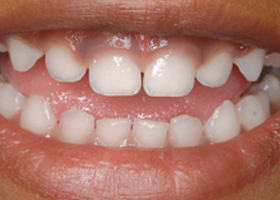 Baby teeth, also called primary teeth, are just as important as permanent (adult) teeth. Strong, healthy primary teeth can help your child chew and speak. They also hold space in the jaws for permanent teeth that are growing under the gums. 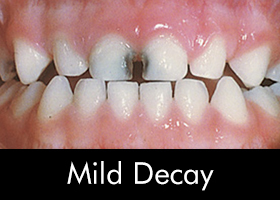 Did you know that tooth decay is the most common long-term childhood disease? 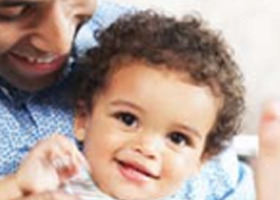 Children of any age can get tooth decay, even babies and toddlers. And tooth decay is five times more common than asthma. The good news is that tooth decay can be prevented! Pregnancy and the first year of your baby’s life are very special and important. You’ll want to take good care of yourself and get your baby off to a healthy start. Your dental health is an important part of your overall health. Good oral health habits not only help prevent problems during pregnancy, they can also benefit the health of your unborn child. 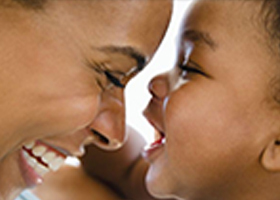 A healthy mouth is part of a child’s overall health. Children need strong, healthy teeth to chew their food, speak and smile. Your child’s teeth also help give his or her face its shape. There’s nothing as beautiful as a child’s smile. With good oral care at home and regular dental visits, children can reach adulthood without suffering from tooth decay and other oral health problems. 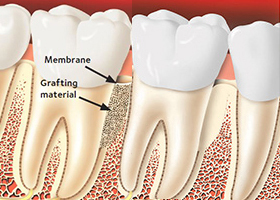 Sometimes teeth need to be removed due to decay, disease or trauma. 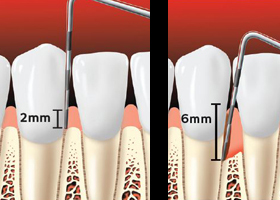 Having a tooth removed or “pulled” is called a tooth extraction. 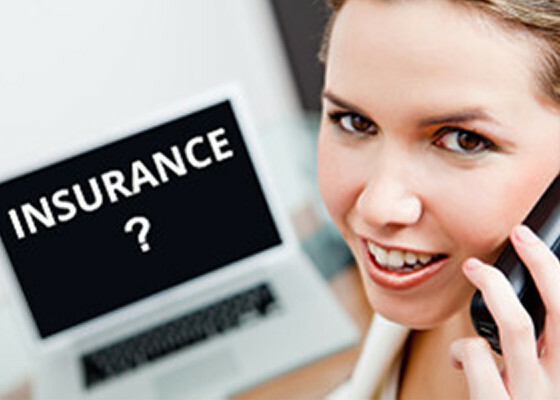 Having dental insurance or a dental benefit plan can make it easier to get the dental care you need. 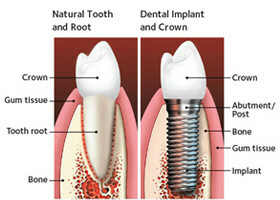 But most dental benefit plans do not cover all dental procedures. 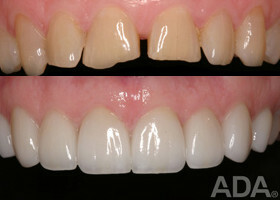 Your dental coverage is not based on what you need or what your dentist recommends. It is based on how much your employer pays into the plan. 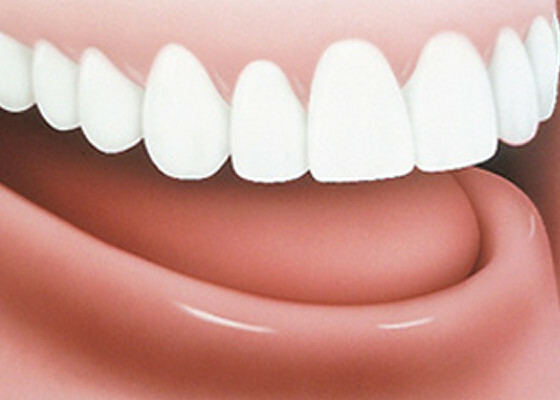 Some appear inside the mouth – on the gums, tongue, lips, cheeks or palate (roof of the mouth). Others, like cold sores, can appear outside the mouth, such as on and around the lips, under the nose and on the chin.